Are you in the mood for cake but don’t have time to bake? 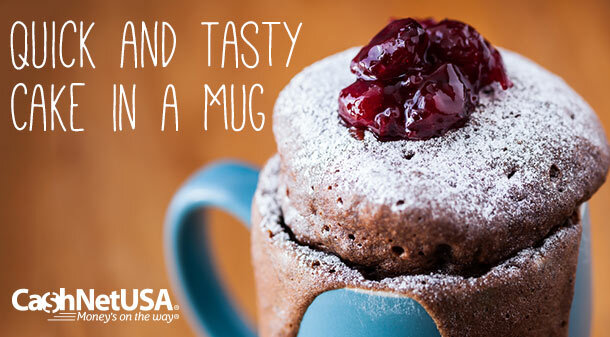 Sounds like it’s time for a mug cake! While there is nothing as delicious as a cake fresh out of the oven, mug cakes are tasty in a more convenient way. Grease the inside of a mug with cooking spray. Measure and pour the ingredients into the mug, and mix together. Microwave on high for one to three minutes and watch the mug cake rise! Microwave for 1 minute, 30 seconds.